Somehow Anthony Zane has killed top assassin, Smash Brannagan. Now he has 72 hours to prove that he is a worthy replacement? and his fate will be decided in THE OCTAGON. 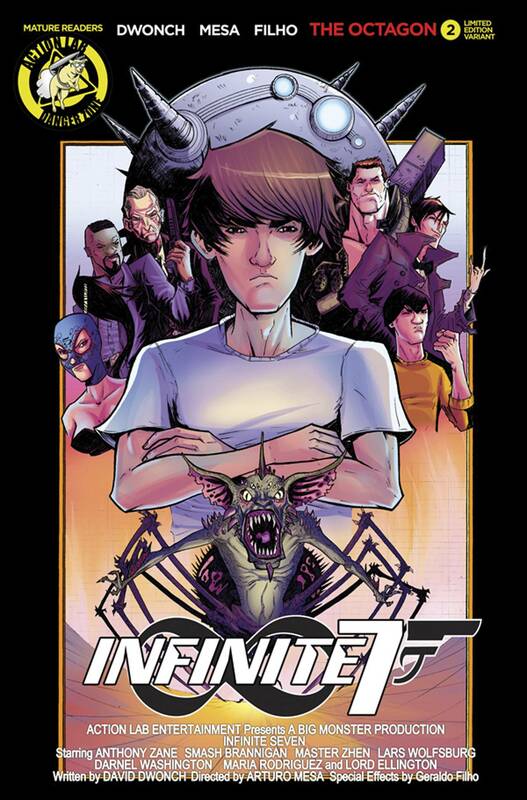 NOTE: Covers C and D interlock with 5 covers to be released throughout the first arc to form a MASSIVE Infinite Seven Poster!